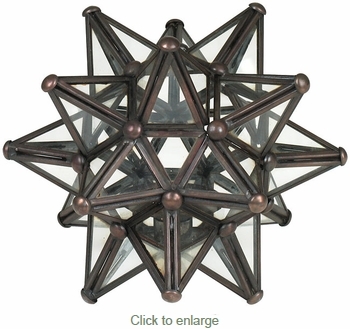 This clear glass Moravian star candle holder makes a great gift or unique accent for your home. The clear glass panels are edged with aged tin, just like our glass hanging star lights. One side panel opens to put in a votive candle. All of our decorative accessories are authentic creations handmade by artisans in Mexico.